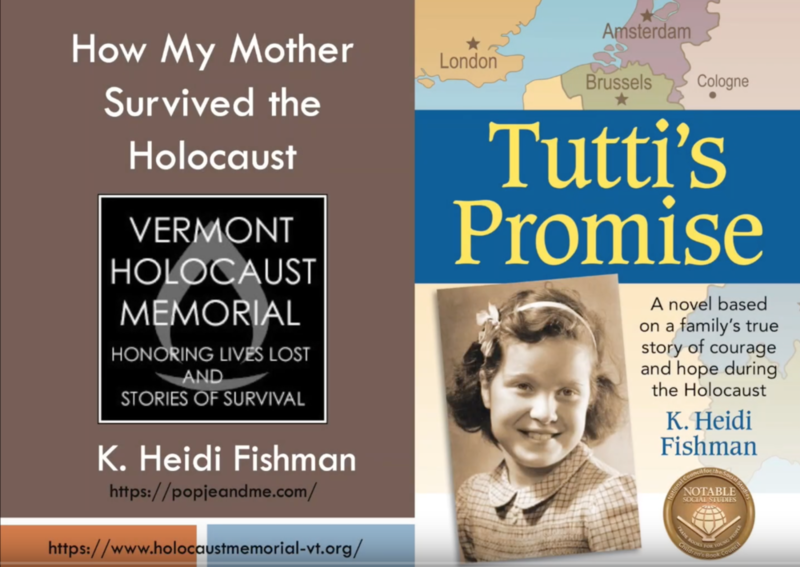 Click on image to watch Heidi Fishman share her mother’s story of how she survived the Holocaust. Click on image to see VTHM on VT Public Access TV. Debora Steinerman and Miriam Rosenbloom share their family stories of survival.